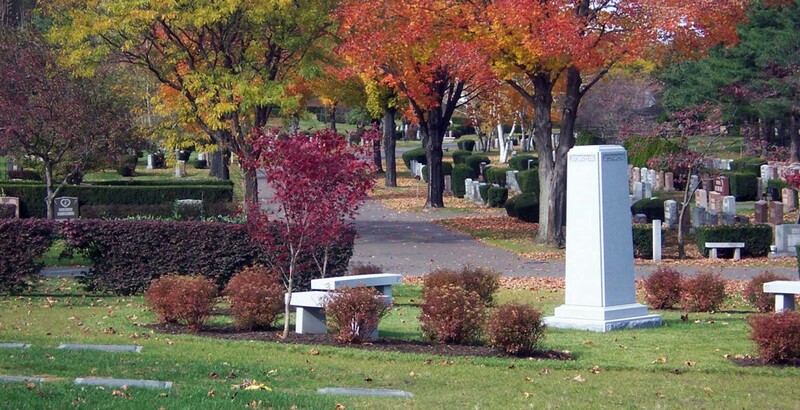 By removing an existing paved lane, a shared memorial obelisk was developed at Woodlawn Cemetery in Everett MA. The obelisk acts as a focal feature highlighting an otherwise open expanse of memorial park. As part of the infill development, Verdant also designed a stone retaining wall which accomplished two goals: created new cremation burial space and mitigated an eroding embankment. A second phase of development will remove the paved lane at the base of the retaining wall and install lawn crypts for full body burial with associated memorial inscriptions on the wall. Verdant Landscape Architecture now WBE + DBE Certified Firm!